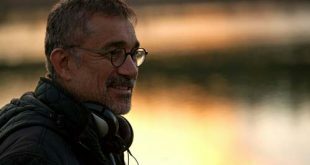 SARAJEVO, Aug 11, (Agencies): Turkish director and Cannes Palme d’Or winner Nuri Bilge Ceylan on Friday received an outstanding contribution award at the opening of the Sarajevo Film Festival. 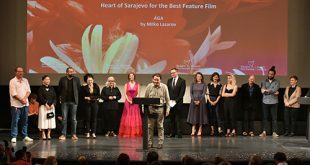 “This is great honour for me, really, and I accept it with my heart,” the director said after receiving the “Heart of Sarajevo” award. Ceylan scooped the top prize at the Cannes Film Festival in 2014 for his epic drama “Winter Sleep”. His latest feature, “The Wild Pear Tree”, was also selected to compete for the Palme d’Or at Cannes. The Sarajevo Film Festival, now in its 24th year, will also celebrate Ceylan’s talent as a stills photographer with a exhibition of his work in the Bosnian capital. NEW YORK: Michael Moore’s Donald Trump critique “Fahrenheit 11/9” will premiere at the Toronto International Film Festival before hitting theaters Sept 21. Moore unveiled the first look at this latest documentary Thursday, releasing a trailer online . The title is an inversion of his 2004 George W. Bush documentary, “Fahrenheit 9/11,” which became the highest grossing documentary ever with $222.4 million in worldwide box office. The date refers to when Trump was declared winner of the 2016 election: Nov 9. In the trailer, Moore calls Trump “the last president of the United States”. “Fahrenheit 11/9” was initially to be distributed by The Weinstein Co but will now be distributed by Tom Ortenberg’s newly launched Briarcliff Entertainment. “Fahrenheit 11/9” will make its world premiere in Toronto on Sept 6. LOS ANGELES: If only there were the popular category at the Oscars when “Transformers” or “Ted” were released. “Maybe if they’d had the category before, we’d have won a couple of them,” Mark Wahlberg told Variety at the premiere of “Mile 22”. “We’ve had some really commercially successful films that we think certainly warranted that kind of notoriety. Wahlberg was nominated for a supporting actor Oscar for his role in 2006’s “The Departed” and again in 2010 as a producer for “The Fighter”. STX’s action-thriller “Mile 22” is the 45th film on his acting resume. Ronda Rousey, who plays a cold-eyed CIA agent in “Mile 22”, admitted that the popular category appealed to her. Rousey’s film credits include 2014’s “The Expendables 3”, 2015’s “Furious 7” and “Entourage”. “Mile 22” opens Aug 17.